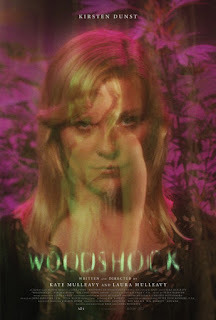 For the writing-directing debut of Rodarte fashion designer sisters Kate Mulleavy and Laura Mulleavy, “Woodshock” is a disorienting and deeply mournful experience, a descent into oblivion. It works more as a tone poem than a straightforward narrative, the first-time filmmakers possessing an artful, sensory-driven visual language and strength for setting an abstract, dreamily vivid mood. With that said, evocative imagery does not always equal profundity, so one ends up admiring what they strive to do rather than what they ultimately achieve. What one viewer will see as hypnotic, many others will find to be lugubrious and patience-trying, and then there will be those of two minds. “Woodshock” can be trippy to endure, but the Mulleavys too often rely on their avant-garde pretensions and artistic flourishes as a gateway into filmmaking that's less meditative and profound than it thinks it is. Theresa (Kirsten Dunst) is in as much of a terminal state of despondency at the beginning of the film as she is at the end. Working at a medical marijuana dispensary in Northern California, she soothes—or, euthanizes—her dying mother (Susan Traylor) into a painless but eternal rest by giving her cannabis joint laced with a toxic oil. Once she returns to work, Theresa struggles to cope with her loss and spends her days isolated in a deep depression at home. It doesn’t help that she lives in her mother’s house with her boyfriend, Nick (Joe Cole), a logger who's at a loss with his aloof wife, and may have another relationship with her boss, Keith (Pilou Asbaek). As she spends her days playing an Angel of Death of sorts to older customers and ends up making an error at work that takes the life of the wrong person, Theresa herself begins experimenting with the special batch and finds herself being carried over to the great beyond. “Woodshock” unfolds through a drug-hazed, stream-of-consciousness fog, visualized through the Mulleavys’ bag of tricks (i.e. double exposure, lens flare, etc.). It’s a stylistically assured film, but the script doesn’t seem too interested in developing Theresa’s relationships with Nick, Keith, or Johnny (Jack Kilmer), a younger nice guy she hangs out with on the porch at a house party. At the end of the day, this is just experimental cinema with a capital E. From Theresa’s memory of being lost in the redwood forest as a child to her husband chopping down redwoods for a living to countless scenes of Theresa walking through the forest, sometimes in a nightgown, and sleeping on top of tree stumps, this unique but mostly one-note story about grief also wants to use deforestation as a symbol for the fate of death. Shot in Humboldt County’s Californian redwood forest, these scenes, including the ending, are stunningly realized from a purely visual aspect, but to what end? And, based on the wood paneling of the homes, the retro fashion and the vintage model of cars but not on the existence of medical cannabis dispensaries, the film might be set in the 1970s, but who’s to know? 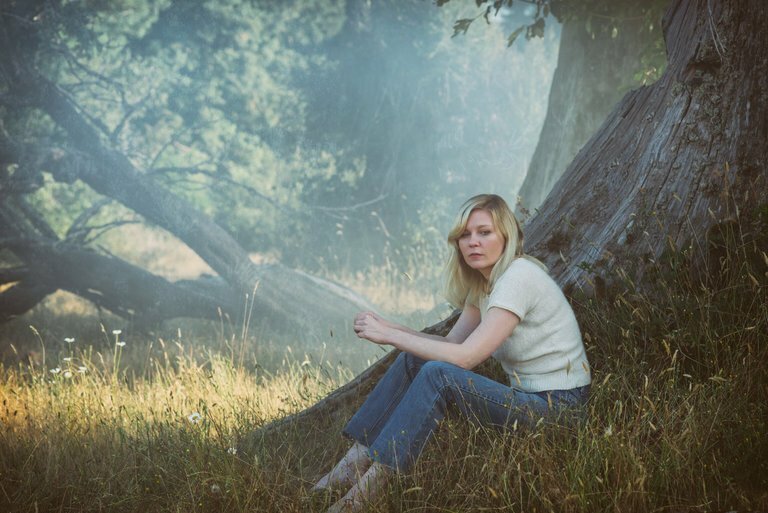 If “Woodshock” never fully coalesces as the cathartic journey that it should be, Kirsten Dunst is nothing short of captivating and only further enhances the Mulleavys’ vision. Dunst has always been one of our most talented and adventurous working actresses, but even more so, she seems to have reinvented herself and always seems ready for another challenge. Following Dunst's shattering yet dynamic portrayal of a woman crippled by depression on her wedding day as the world is coming to an end in Lars von Trier’s “Melancholia,” her devastating performance as Theresa is like an emotional undertow that the rest of the film doesn’t quite capture. Kate and Laura Mulleavy clearly have an artistic eye, but the sense of meaning that they think they grasp gets lost in the trees.